After nearly a year of flat-hunting, one has finally been purchased. What I initially thought would be a simple process turned out to be MUCH more complicated. By simple, I mean I thought it would be a matter of outlining my requirements, going on Rightmove to see what was available, arranging some house viewings, placing an offer on my dream abode, and moving in one month later. Silly me, I clearly live in Lala Land. I think it’s because things seem to move a lot faster in the only country I’m completely familiar with – good ‘ol Canada. There, it’s not atypical to have a house sold in 4 days, or even before it gets listed, and to get the keys within 1.5 months of the sale going through. Whereas in Bath, it seems like 3-4 months is considered standard from placing an offer to getting the keys in your hands. Bright eyed and optimistic, this is when M and I first started scoping out flats. We had a rough budget in mind and with that, we made bookings for every flat that fit within the budget that was in a decent location. I don’t consider myself to be high-maintenance but apparently I have demanding…um…demands. It’s not unreasonable to want an ensuite bathroom, high Georgian ceilings, floor-to-ceiling windows, and a garden…is it? I mean, Bath is one of the most beautiful cities in England and I figure, if I’m going to live in Bath I would want to live in a typical Bath Georgian building. Reasonable request? I think so! By month 4 of flat-hunting standards started to change and sacrifices were made. We were getting nowhere fast and the prospect of owning a flat was slipping away. I escaped back to Canada over the summer months to deal with visa issues and left M to his own devices. When I came back for a brief visit in October I came back to a deliriously happy fellow. One who had just purchased a flat. Without me. I know I wasn’t around to view any flats and while it’s true I told M to make the call in regards to putting offers on flats he deemed worthy that was just me being nice! I didn’t think he’d ACTUALLY do it! So he showed me the flat. I think it was all I could do to not burst into tears. The pictures below show a very beautiful flat…to the naked eye. 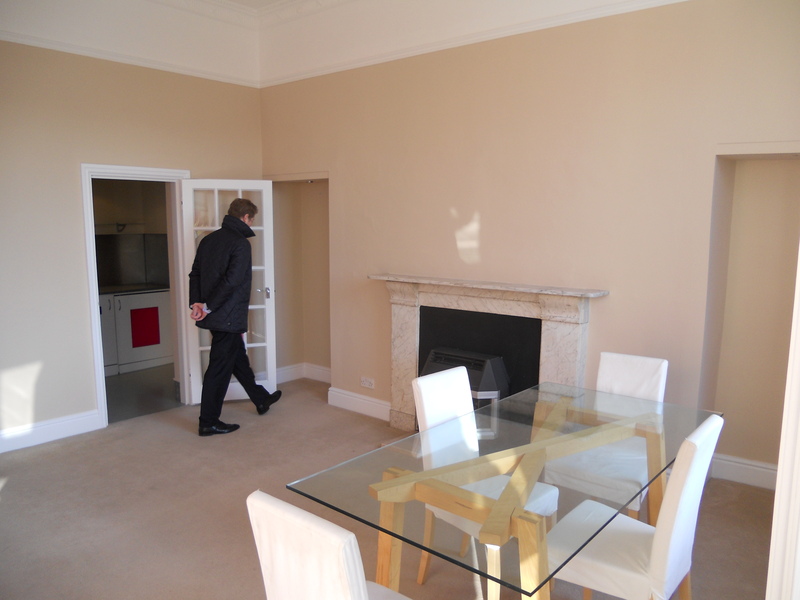 Spacious sitting room going out onto the balcony. But what the hell is up with that huge pink piece of plastic on the wall!?! Kitchen the size of a walk-in closet...and more pink plastic!!! It was WAY too expensive for what it was. He put in an offer that was £10K below the asking price and his offer was accepted. 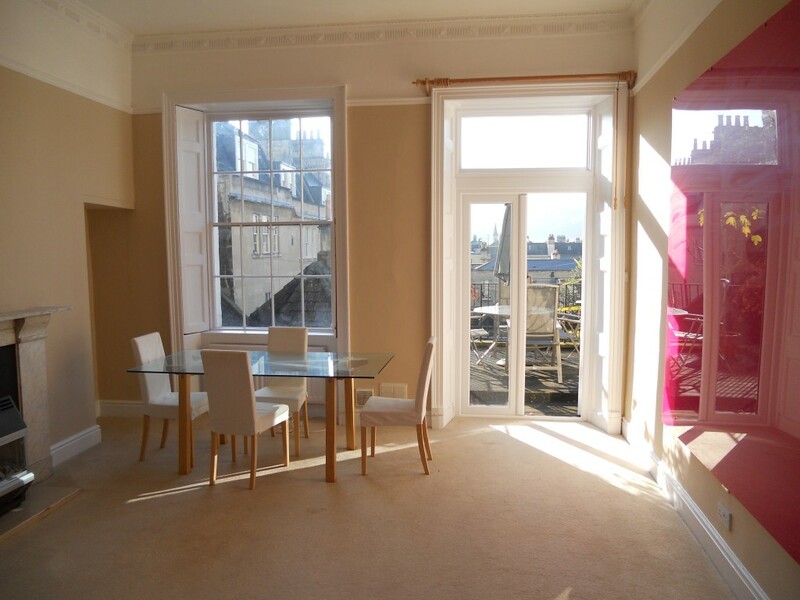 That would’ve been good and dandy if the flat wasn’t priced £40K above its valuation. The flat was on one of the busiest streets in Bath and the bedroom faced the main street. Something I absolutely cherish is a good night’s sleep. And there was no way in hell that was going to happen in this bedroom. Noise-proof and fully insulated windows (double glazed windows) aren’t allowed in listed Georgian Buildings, as it goes against the city’s ‘aesthetics’. This means I would’ve woken up to 6am lorries and morning traffic EVERY SINGLE DAY. Weekend sleep-ins? Good luck! It was also opposite a night club, which means not only would it be extremely noisy Fri and Sat nights, but one would not have the right to be surprised/angry if faced with the smell of piss or puke. One of the biggest highlights of the flat was the large balcony in the back. True, it was very nice. What M didn’t seem to mind (which I thought was a big deal) was the fact that the stone of the building was starting to come apart. It’s not a good sign when the sales agent says: “Watch your head, the building’s a bit old, you don’t want the stones to fall on you.” Forgive me for, you know, wanting to keep my head intact. The flat required probably an extra £15K in renovations and with the already high price-tag of the flat I could see any hopes of going to the Maldives evaporate before my very eyes (yes, yes #FirstWorldProblems). Getting a flat surveyed is the norm here (and probably in Canada for older buildings? Confirmation, please!) and the process involves hiring someone who’s familiar with the internal structure, the outside of the building, inspecting all potential problems and submitting a 1000 page report (perhaps a few pages less…) of all potential issues as well as what they think the property is worth in their professional opinion. I struck a deal with M. If the surveyor came back with a valuation within £10K of what we purchased it for then we’d continue on with the sale. Else, bye-bye flat! I waited with bated breath as M went through the report. He asked what I thought the report stated and I looked dejectedly at him and said it was obvious the report came back in his favour. He pointed the computer screen in my direction and that’s when I saw – the figure facing me was £30K below the asking price and £20K below what M offered. Another offer was put on the table. No ensuite. Not a Georgian building. No floor-to-ceiling windows. But this one had potential…LOTS of potential. This one was a project and I like projects! Offer accepted…and the waiting game to get the keys began. 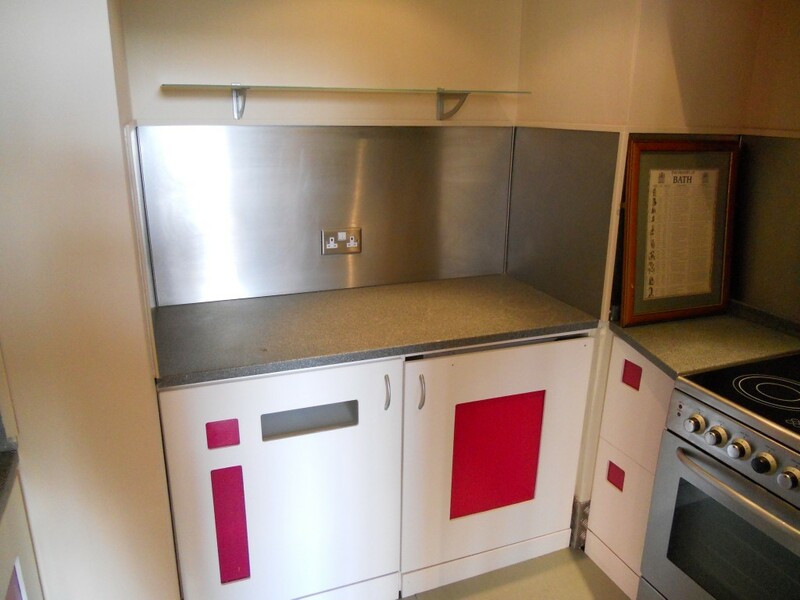 The flat is part of a complex that belonged to a woman who just passed away. Her family was acting as executor and to put nicely, the family was in no hurry whatsoever to get this sale going. With the flat being unoccupied and totally ready to move into I thought the move-in process would be all ‘BADA BING BADA BOOM’. Lots of back and forth emails exchanged between the two parties’ solicitors. Ladies and gentlemen, we have a winner!!! 5 months later – we gots da keys! I wish I could say things are now smooth sailing and I could show you pictures of my new humble digs but apparently, the fun (please note heavy sarcasm) has just begun! The flat is a fixer-upper and while I like working on projects, I didn’t think I’d actually have to LIVE in one. Renovations are well underway. I am currently living in a construction yard but hey, at least I’ve got my next blog topic! Stay tuned, folks. An update on the extensive flat renovations is on its way!